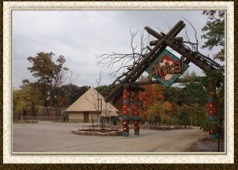 An indoor and outdoor banquet facility at within Peoria Zoo. The River Village overlooks the new Africa! exhibit. 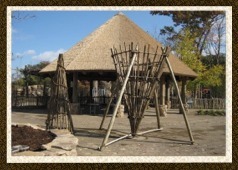 The village is available for receptions, corporate events, or group meetings. 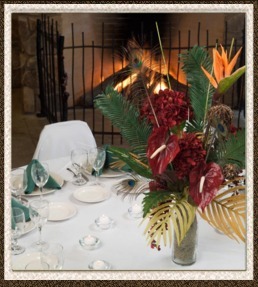 No matter what the season, an event at the Zambezi River Lodge inside the Peoria Zoo is one you will remember! 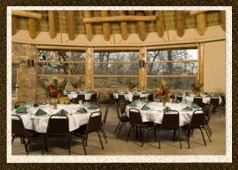 Our new banquet hall can hold up to 200 guests and looks out over the lush green vegetation of Africa. Rhinos, giraffes, zebras, lions, mandrill and other wildlife will graze peacefully while your guests will enjoy themselves. The Lodge provides a complementary reception site for many outdoor weddings held in our Zambezi River Village or next door at Luthy Botanical Gardens. 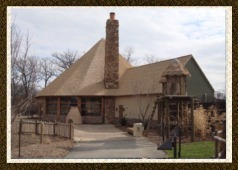 By combining the Lodge and Village areas, we can easily accommodate more than 1000 guests. Located just outside Zambezi River Lodge is equipped with a sound system and lighting. The perfect setting for a DJ or live entertainment. 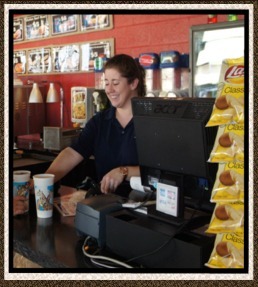 Lodge Concessions available daily May-September.